The chairman of the organization, professor, doctor of law Mikhail Pastuhou was elected on the first meeting. In his interview to Radio “Svaboda” Pastuhou referred to the research of a human rights defender Raman Kisliak, according to which since 1997 162 complaints from Belarusian citizens have been registered at the UN Human Rights Committee. 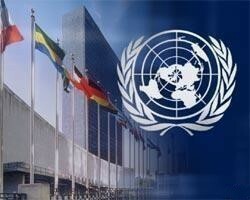 As per number of complaint to the UN Human Rights committee Belarus is among the top three countries. Pastuhou is filed the second in a row complaint on Belarus. Former member of a Constitutional Court of Belarus strived for the order of his dismissal in 1997 to be found unlawful. “The authorities do not comply with the International Covenant on Civil and Political Rights, which is binding upon our country” – Mihail Pastuhou says. The members if a conference called upon Belarusian authorities to carry out the decisions of the UN Human Rights Committee and to adopt a law that will consolidate the procedure of implementation of such decisions and also to establish a national human rights institution in Belarus.